WizKids seems to be in that pattern again of announcing several new games in rapid succession (nothing wrong with that, mind you). In this case, it's Endless Pass: A Viking Saga. 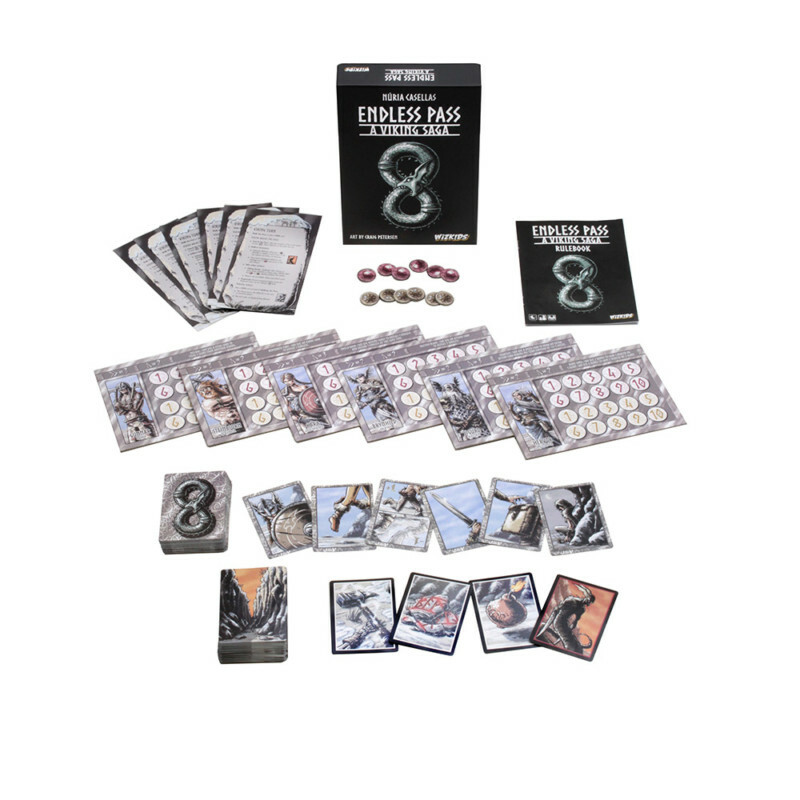 Players take on the role of mighty vikings, searching the Pass as they look to defeat the Endless, a never-ending (ooooh, that explains the name...) group of monsters. But, being vikings, they're also looking for glory! As such, they'll compete against one-another as well. Whose story will be told throughout all time? That's for you to decide.